Rossie Futch celebrates Christmas 1959 with his grand daughter Lee, and her new baby doll. Rossie Futch and his granddaughter on Christmas Day, 1959. Rossie Futch (1899-1968) was a native of Berrien County and a resident of Ray City, GA for 50 years. He was married first to Georgia Edna Smith. His second wife was Lessie Guthrie Miley. After 1950, the Futch Residence was at 406 Jones Street (now 507 Jones Street). During the war, there was a critical need for rubber as a war materiél. On the home front in Ray City and everywhere in the country, the national shortage of rubber meant people had to make do. One consequence of the shortage was consumer goods incorporating elastic became unobtainable. In 1942, the War Production Board circulated posters urging citizens to conserve and recycle critical war materials. A poster entitled America needs your scrap rubber was produced in 1942. The poster dramatically illustrated the need for rubber in producing military equipment: A Gas Mask requires 1.11 pounds of rubber; A Life Raft requires 17 to 100 pounds of rubber; A Scout Car requires 306 pounds of rubber; A Heavy Bomber requires 1,825 pounds of rubber. No rubber meant no elastic for the waistbands of women’s underwear. Instead, for many women, underwear was to be fastened around the waist with a button, or with a draw string for the duration of the war. But these fasteners provided a less than reliable suspension for female undergarments, and it was not uncommon for young girls to suddenly lose their underwear while walking. It may have been less patriotic than collecting rubber for the war effort, but Granny Virdie Futch, of Ray City, GA recycled old inner tubes by cutting them into thin strips and sewing them into underwear. She also made the waistbands of the children’s pants and pull up pants for the toddlers. Virdie was born May 26, 1874 in Lowndes County, GA, a daughter of John W. Cowart and Sarah A. “Sallie” Bradford. Her father was a laborer in the 1157 District of Berrien County. In 1899 he moved his family to the former residence of B. P. Peeples in Nashville, GA where he worked as a house carpenter. Her parents later moved to Ray City, GA, some time before 1920, where they rented a farm on the Valdosta Road near the farms of Mallie Shaw, Jack Terry, and Lewis W. Register. On January 15, 1896 Virdie married Arren D. Futch in Lowndes County, GA. The ceremony was performed by C. W. Stallings. Later that same year, her sister, Sallie Cowart, died at age 14. 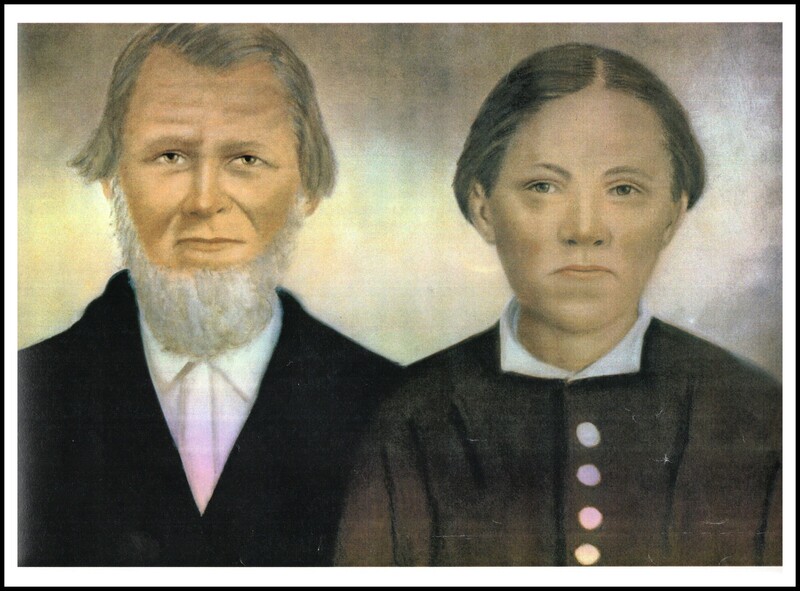 The young Futch couple first made their home at Cecil, GA where Arren bought some property and took up farming. The 1910 census shows they owned a farm on the Adel and Valdosta road. By 1920 Virdie and Arren Futch had acquired a place on the Valdosta and Ray City Road just southwest of Ray City. Their sons, Caulie and Rossie, worked adjacent farms. The 1940 Census shows Virdie and Arren had moved to a place on Cat Creek Road next to their son, Rossie Futch. By 1950, Virdie and Arren moved into town, residing in a small house on Jones Street, Ray City, GA. In 1950, Arren and Verdie Futch were living in this home on Jones Street, Ray City, GA, with their son, Rossie Futch, his wife, Lessie Guthrie Futch, and step-son, David Miley. 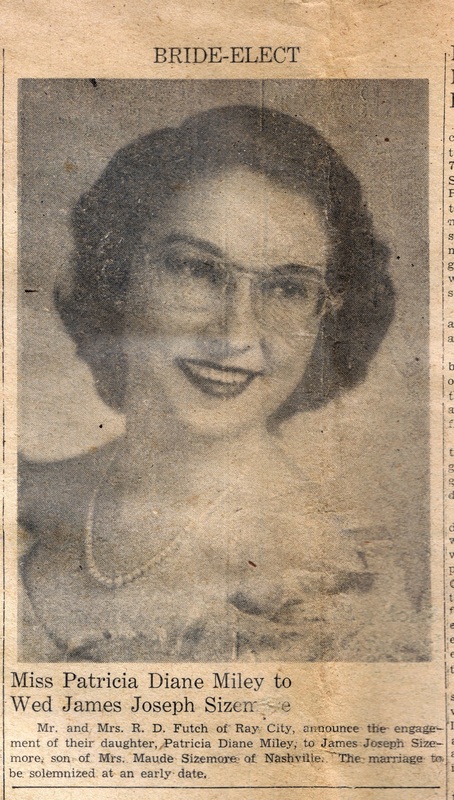 Mr. and Mrs. R. D. Futch of Ray City, announce the engagement of their daughter, Patricia Diane Miley, to James Joseph Sizemore, son of Mrs. Maude Sizemore of Nashville. The marriage to be solemnized at an early date. 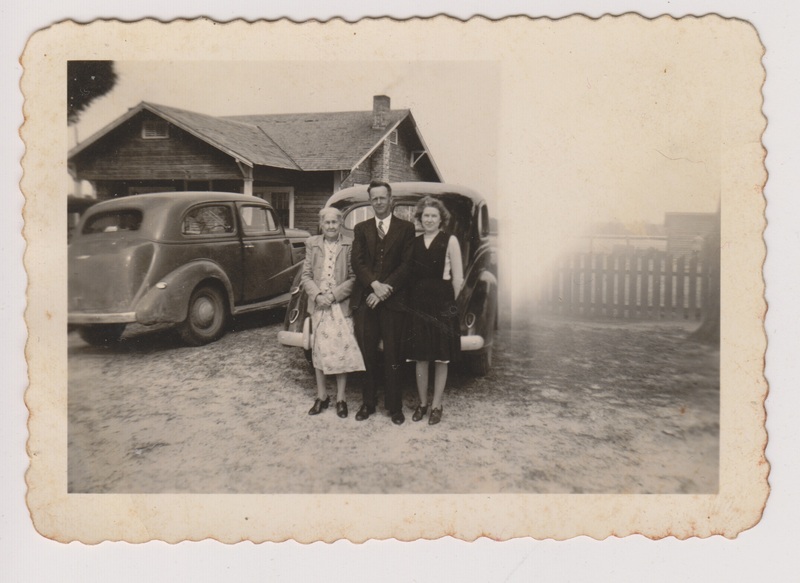 Lessie Guthrie and Rossie Futch were long time residents of Ray City, GA. In the 1940s they lived for a short time in a small home on Possum Creek Road. This house was located on the farm property of Jim and Stell Swindle. L to R: Lucinda Elizabeth Guthrie, Rossie Futch, Lessie Guthrie Futch. Rossie and Lessie lived at this house on Possum Creek road near Ray City, GA for a short time in the 1940s. Later they lived in town on Jones Street,Ray City. The records of WWI draft registrations for Berrien County, Georgia give H.C. Futch’s full name as Hartridge Columbus Futch. 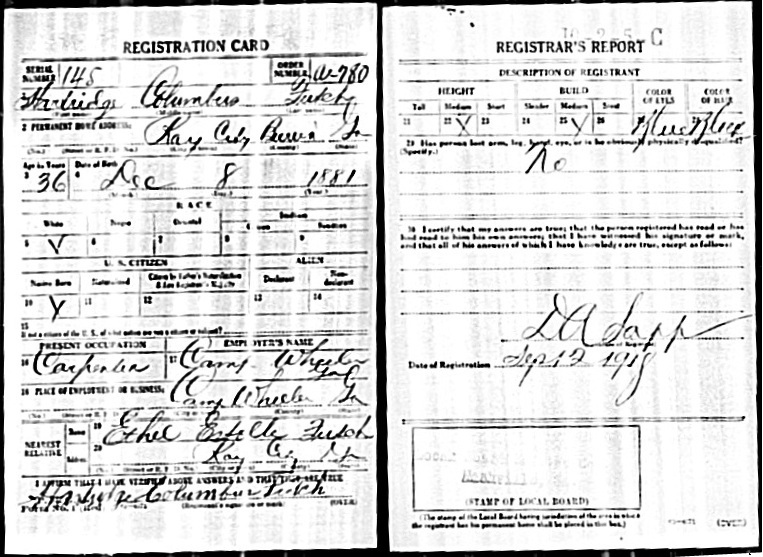 On Sept 12, 1918 when registering for the draft, Hartridge gave his permanent residence as Ray City, Berrien, Georgia, although he was already working at Camp Wheeler, GA at the time. His occupation was carpentry. He was described as medium height, medium build, with blue eyes and black hair. He listed his wife, Ethel Estelle Futch, as next of kin. D.A. Sapp signed his draft card as the registrar. 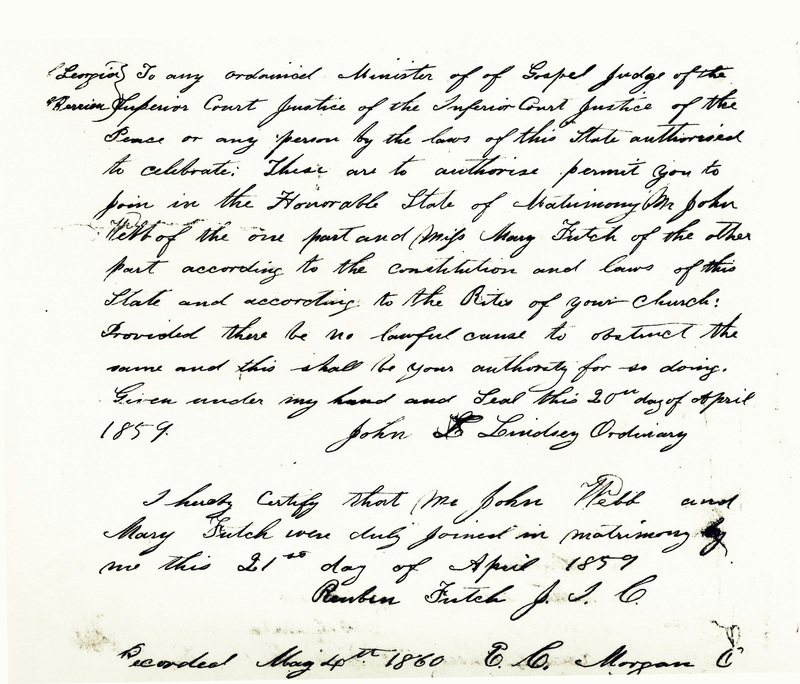 The birth date given on his record confirms the date found on the faded marker found at his grave in Beaver Dam Cemetery, Ray City, GA. Hartridge Columbus Futch was a son of Julia Ann Taylor and John M. Futch. Construction on Camp Wheeler, named for Confederate cavalry General Joseph Wheeler, began in July, 1917. 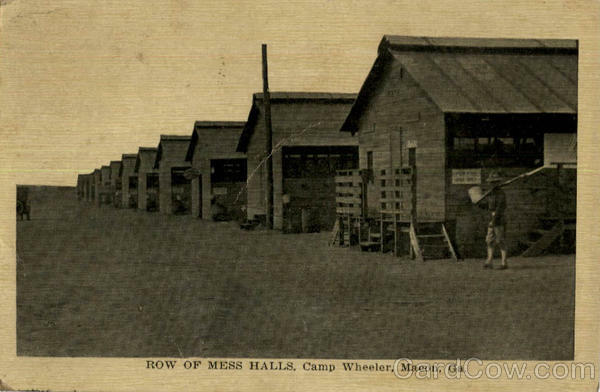 Camp Wheeler, located just east of Macon at Holly Bluff, would become the temporary home to tens of thousands of “Doughboys” on their way to the WWI battlefields of Europe. Did H.C. Futch help build these mess halls at Camp Wheeler, GA? Later, Camp Wheeler would serve a whole new generation of soldiers as a training camp for WWII. 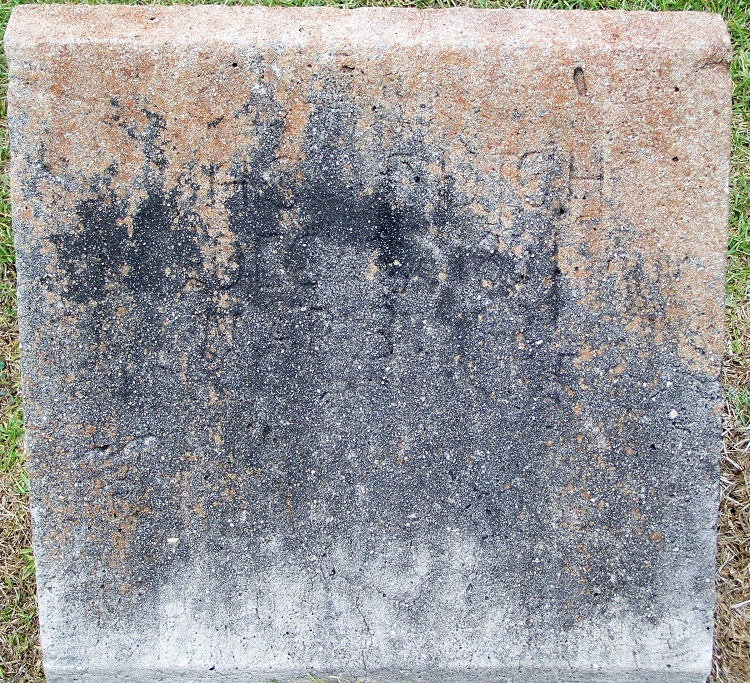 A faded marker found guarding the grave of H.C. Futch at Beaver Dam Cemetery, Ray City, Berrien County, Georgia begs the question. Who was H.C. Futch? No death certificate was located but census records from 1900-1930 showing that he lived in the vicinity of Ray City, GA. for at least 30 years provide a starting point. Mr. John M. Futch, of Berrien county, met with a very serious accident on Thursday of last week. He was having a large mulberry tree dug up, and when it fell one of the limbs struck him on the back of his neck crushing him to the ground, nearly killing him. He was improving at last accounts. John M. Futch lived on the road that ran between Lastinger Mills at Milltown (nka Lakeland, GA.) and the Berrien county seat at Nashville. This road, one of the first roads built in Berrien county, passed by the residences of Isben Giddens and Levi J. Knight, among others. John M. Futch was the father of Rhoda Futch Knight. In 1875 he served as foreman of the jury in the case of The State vs Burrell Hamilton Bailey.